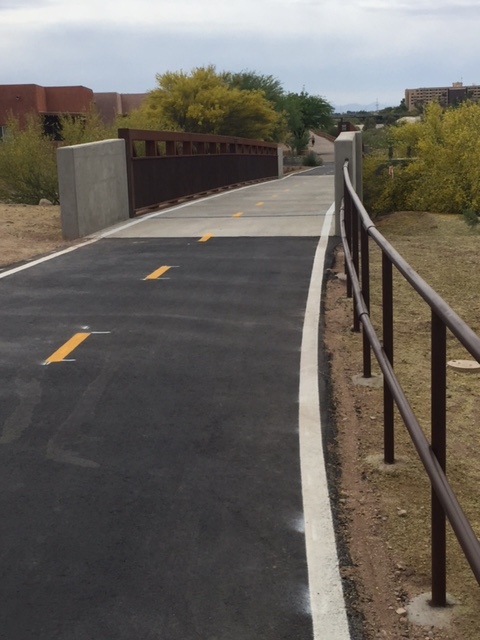 Pantano Riverpath 5th Street to Speedway Boulevard - KE&G Construction, Inc. This project ran parallel to the Pantano Wash between the 5th St. Wash and Speedway Blvd. in Tucson. The project consisted of a 95-foot span prefabricated steel pedestrian bridge, as well as 1,250 feet of asphalt path, decomposed granite paths, a ramada shade shelter, various landscape features, and project artwork.